What to Expect from Online Dental Courses for Dental Professionals? An online implant course is an online training that covers basic to detailed knowledge building sessions for the dentists who are looking for dental implant placement as one of their special dental treatment services. The dental implant covers each aspect that ideally a dentist requires for attending a patient’s case. We all know that the first step that dentists must do for providing treatment is a consultation. It covers making the dentist understand what is the general procedure that makes the treatment easy for both patients and the dentists. What questions and concern to be covered at the time of consultation? It also covers topics like x-rays and various specific issues, situations for dental treatment. Complete training for diagnostic testing is explained to the dentists in an implant course. It allows the dentists to understand various types of dental implants using the latest techniques and technologies. It is important for the dentists to identify the case and the type of technique that is required for dental treatment. It covers aspects like images, precise measurements and other important mock-ups. To plan for dental treatment or surgery means to be sure first about the type of dental treatment to be conducted. It gives a clear understanding to the students about the treatment technique, instruments to be used and learning how to approach any dental issue case. It includes planning for the dental treatment. An online course does not mean getting information online and learning on your own. To apply and learn through online course also means getting to learn through performing surgery firstly on the dummy patient and then being a part of live surgery. It allows the students to learn through live surgery that takes place with a team of expert dentists. Students can get an opportunity to get hands-on-approach for surgery. It teaches the students how to do painless dental implant surgery, how to use implant instruments for placing the implant placing and how to deal with various types of situations that might take place at the time of surgery. Once the surgery takes place, after a period of some months, the step of Osseointegration & Reassessment and abutment fitting comes into the picture. It comes into practice as one of the vital processes for building a foundation for denture support. Later, it becomes important to check the strength of implants. All these processes are also covered under course. For final placement of the dental implant, which takes place after several months, it is important to check the teeth. All these topics are covered in detail when one chooses a course. Looking for a perfect online dental implant course for you? 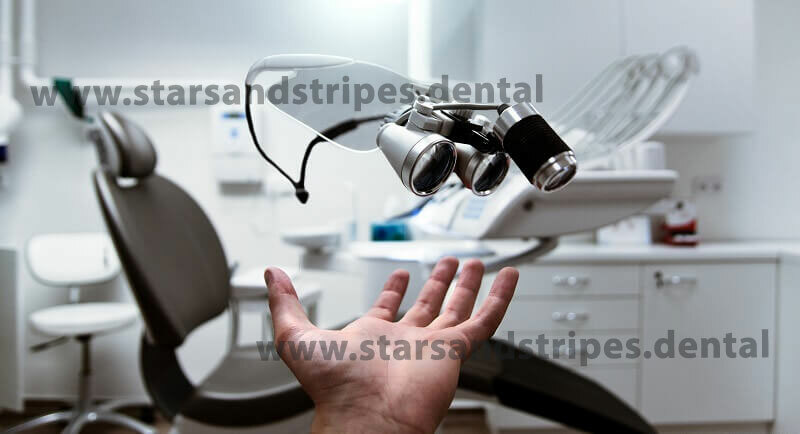 Stars and Stripes Dental, headquartered in Houston, USA is Implant Academy and Research centre; which provides dental implant training courses in Ahmedabad for dental practitioners in the fields of Implantology and Computer-guided implant surgeries. We work with dentists around the world.